GEVA 4000 is our highest performance platform, delivering up to ten times the processing power of the GEVA 300. 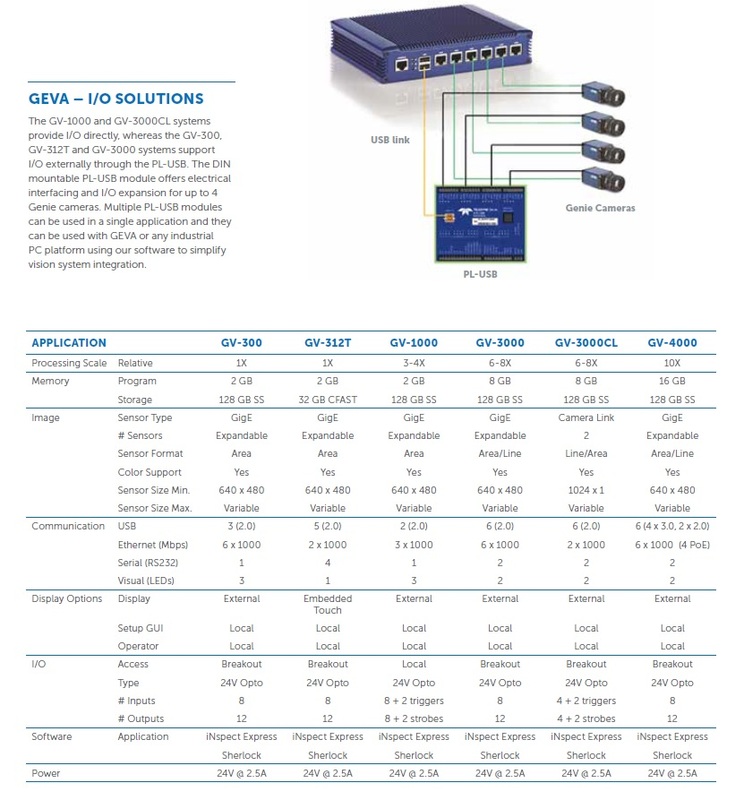 The fan-less GEVA 4000 is also our first platform to offer PoE (Power-over-Ethernet) on the dedicated camera ports. This alleviates the need for I/O cables when inspection triggering and control is provided by a networked PLC. The GEVA 4000 supports up to six (6) Gigabit compliant Ethernet ports (4 with PoE), each with independent data lanes. This low power, low profile platform is well suited for multi-camera industrial applications using either area or line based Gigabit camera.